As I mentioned in my last post A16 competed in the National Youth Track & Field Championships in Charlottetown, PEI in mid August. 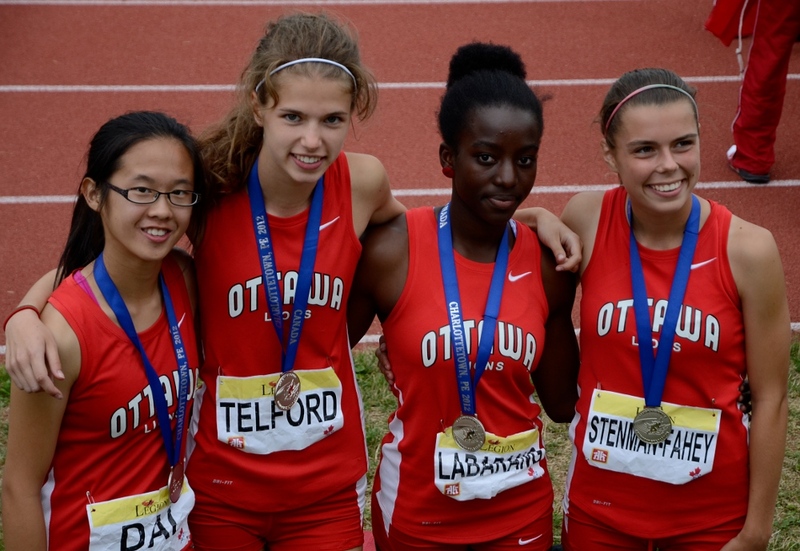 She competed with her team, the Ottawa Lions and had a very successful meet coming home with two relay medals and a personal best time in 300m hurdles. 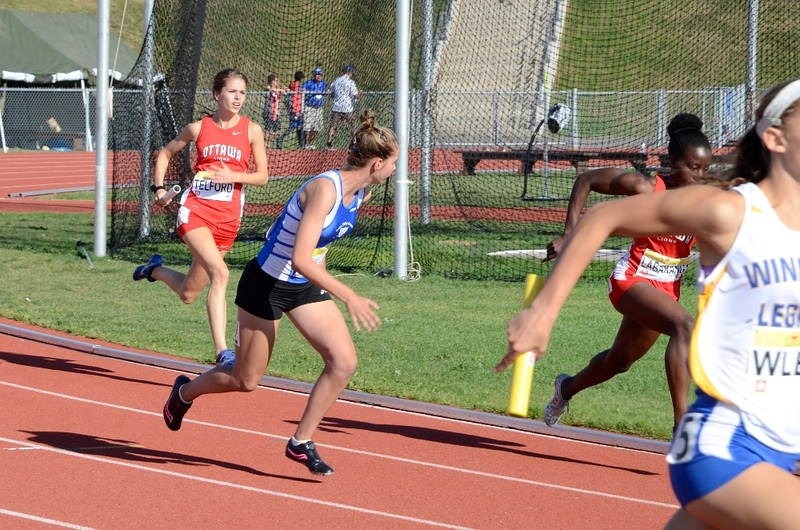 A16 ran the first leg of the 4x100m relay and the team won gold. 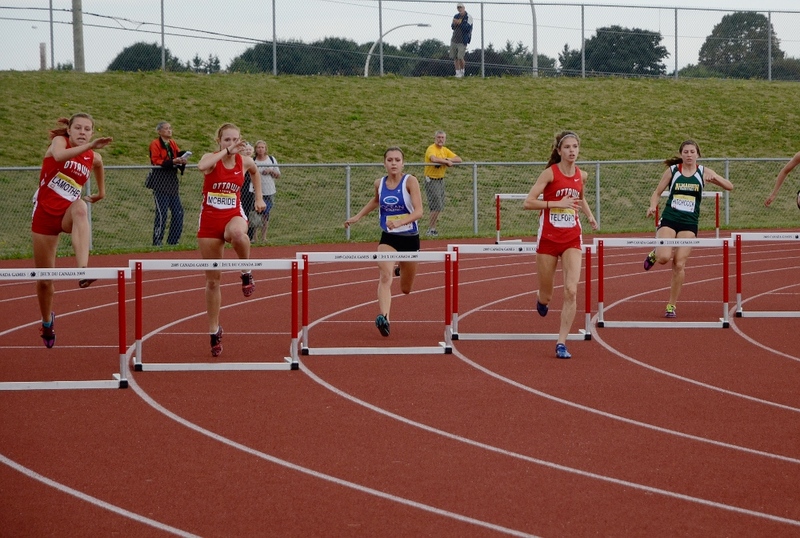 Winning her heat with a personal best in 300m hurdles, her newest event. The silver medalists in the 4x400m relay. This entry was posted in Sport on September 15, 2012 by Heather. A16 definitely has your lovely smile. Congratulations to her.